IBTimes UK reporter Ewan Palmer, who was at the scene, said armed police and ambulance teams were at the scene, and that no one was being let in or out of the station. He said an officer described it as a "major incident" but could not specify what had happened. 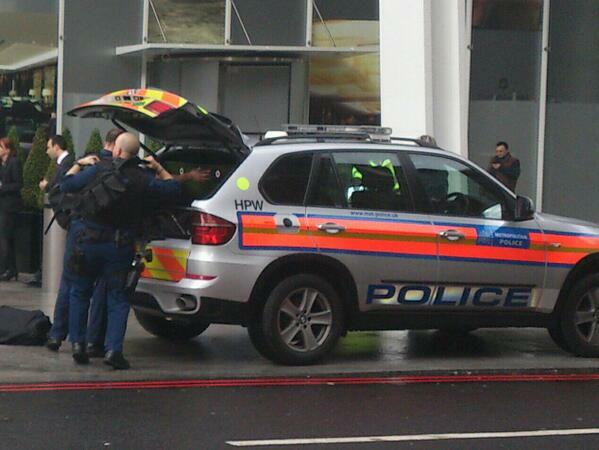 "London Bridge station evacuated amid reports of man with axe, meanwhile M6 shut junc 2-4 bcs of suspicious vehicle. Jittery times." "A guy with an axe was on my train"
The fact this may be a copycat fiction seems real. No "axe man" was found. No arrests were made. And it seems to be a false alarm at best, and a hoax at worst. 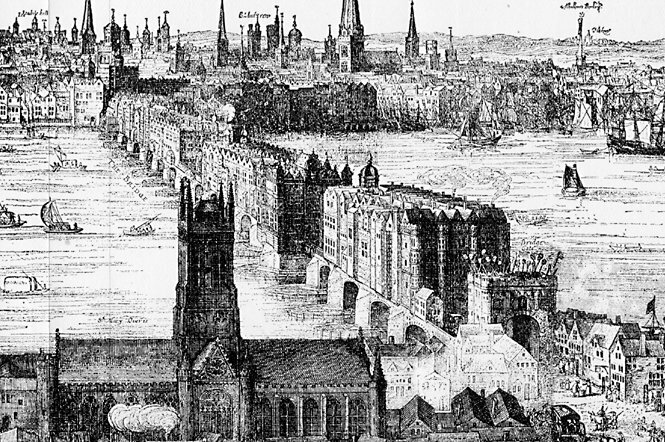 Drawing at top, London Bridge, 1616, Claes Van Visscher. Ohhh Loren ... you have opened another bag of tricks with this one! London Bridge is also a pretty ancient children's game-song. 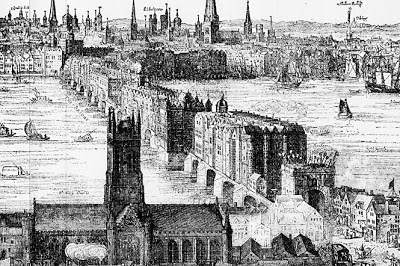 The Wikipedia for London Bridge has much interesting info ... but I think your eyes will be drawn to the theory (lower down the page) put forward by the folklorist Alice Gomme and "perpetuated by the usually sceptical Iona and Peter Opie" that the words referred to "child sacrifice," in particular, live burial in the foundations. Note also that one of the proposed identities of the Fair Lady immortalised in the song rhyme is "A member of the Leigh family of Stoneleigh Park, Warwickshire, who have a family tradition that a human sacrifice lies under the building." As far as I know, Woolwich, while south of the Thames, has never been regarded as part of Cockney land (as celebrated by the song). 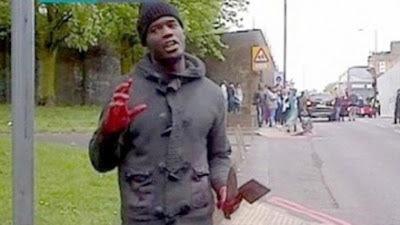 But then, in multicultural London we are all Cockneys now! London is jumpy due to a violent attack that took place earlier this week. 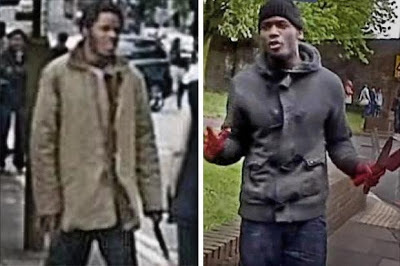 Two suspected killers, British men of Nigerian descent, aged 22 and 28, are under guard in hospitals after being shot and arrested by police following the murder of 25-year-old Afghan war veteran Lee Rigby on Wednesday, May 22, 2013, in broad daylight. Although it appears the whole thing is a hoax, huh? 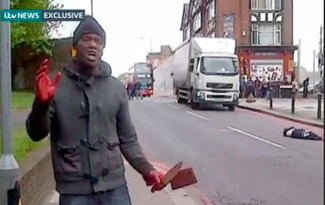 Here comes a chopper to chop off your head." Those lyrics are also in the song Cold Light by the British artist Pig. I heard that pork is forbidden in Islam. If Woolwich means "trading place for wool" this brings to mind shearing of sheep.